New York: Harcourt Brace Jovanovich, 1973. First edition. Hardcover. First printing. The second collection of poetry from the author of the Pulitzer Prize winning novel "The Color Purple." A fine and tight copy in a very near fine dust jacket with some slight bumping to the spine ends. 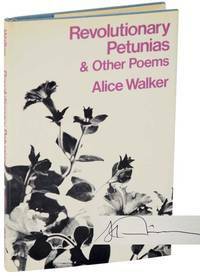 Signed by Walker on the title page. One of her more elusive books.